On Tuesday, August 2, I was having lunch in Guymon, Oklahoma, a place in the middle of nowhere. Or, more accurately, in the middle of the panhandle of Oklahoma, a hard, hot, high bit of the country which feels like it owes no one any favors. I was incredibly surprised to find a place on Yelp! that was good enough that I will aim for little KGUY on my next crossing. While I was having lunch, my friend Art Newman crashed his plane into a building in Van Nuys, sustaining fatal injuries. My way of hearing the news was that when I finally landed at Santa Monica at 7pm that evening there was a voicemail message waiting from his daughter asking how they might confirm that it was him. “You probably have seen the news about a pilot in an accident in Van Nuys, we think it was dad. Do you know how we could get in touch with someone about it?” Sadly, I didn’t know anyone to call. He bought into a partnership in a Grumman Tiger plane that was parked next to mine. He was a Los Angeles original, growing up in the basin with a father that owned a grocery store. He told me about the days of buying cars for $500 that you turned into hot rods, of the yacht basin that used to be next to the Santa Monica Pier and his days being a fixture in the early surfing scene in Malibu (he’s in the background of Gidget, catching waves). He was a gruff customer. We couldn’t talk politics because he was a Fox News addict. He called his younger daughter “the commie” because she returned from college with more liberal views than he supported. His soft spot was for his wife Sally. A couple years after I met him Sally succumbed to brain cancer. I spent a few afternoons at their house in Malibu visiting while she was on hospice and helping her figure out audible books on her iPod when she lost the ability to read. According to Joe Justice, who was his Designated Pilot Examiner (DPE) for his instrument rating, there was no one as old as Art who had passed their IFR check ride that year. He was tenacious and smart and knew that an instrument rating would make him a better, safer pilot. A lot of our lunch discussions were about Aeronautical Decision Making and how to best minimize the risks of flying little single engine planes. In his career, Art sold insurance and was a Risk Manager, which I guess is a certified title and makes you an insurance maven. The Bonanza didn’t seem to be the right plane for Art. It’s a gorgeous machine, but it is for travel. You should be flying over a hundred hours a year and making trips of a few hours at a time. The one long trip Art took was up to the northern border of California (I think trying for Seattle?). The alternator failed on the engine, necessitating a stay in a hotel and a repair at a strange airport. After that night Art flew home and didn’t take another long trip. He kept the plane for a while longer and talked about a bunch of other long trips he would take. He talked about riding along on one of my longer ventures but always complained that the seats in the Diamondstar were too uncomfortable for him. A few years after he bought it, he sold the Bonanza. We had flown out in the Bonanza to the little San Bernadino airport. There was a fellow there trying to sell a Airon Lightning Light Sport airplane. Art took a ride with the guy in the little two seater. On the way back in his plane he talked about how the guy didn’t know how to sell a plane, that he was asking too much for it, and so on. Art was a salesman and had a salesman’s distaste for other people trying to sell him on something. Over the following months Art negotiated with the factory and they built him a beautiful little plane. He flew commercial to Tennessee to check the progress near the end and to give them the final payment. Just before he was due to take delivery he had a horrible accident in his Porsche super car and was helicoptered to UCLA’s medical center. When I visited him in the ICU he had me check his email on his iPad, call the factory to confirm the plane was still scheduled for completion and delivery and to explain the situation. Through a very difficult recovery, the plane seemed to be an important constant, even though when I visited him at home he couldn’t use his hands (a neighbor had stopped by to feed him a sandwich for lunch). Apparently working the controls for the plane is one of the things that kept moving him forward on the physical therapy. A couple weeks after that conversation I heard he’d had the same sort of accident landing at Camarillo. The plane was grounded and getting repaired up there. For weeks, it seemed. A friend of Art’s stopped by my plane looking for a ride up to the weekly lunch at Camarillo. He said that he had been in the plane when Art botched the landing. He knew that Art was telling people it was the friend’s fault, that Art wasn’t at the controls, but the friend wasn’t bothered. I thought that was ethically questionable, but couldn’t think how it would matter for either of them. It sounds like someone turned Art in after that incident and the FAA’s local office (Flight Safety District Office, FSDO) had scheduled him for a proficiency check ride. That’s something that can happen with your pilot certificate. If they get wind of a situation they are not comfortable with, they can just call up and say they need you to do another check ride. You can always refuse, but then you can’t fly any more. So with that hanging over his head Art climbed into his little Lightning Light Sport airplane and flew the five minutes over the hill to the Van Nuys airport. His first call on the radio is shaky, not the crisp professional call that is ideal to get the best service from the air traffic professionals. He says he’s “not familiar with the area” and would like the tower to “call the base.” He means he wants them to tell him where make the turn back to the runway to land as he flies by the airport. That’s was an odd request for me to hear, since Art was certainly familiar with the area, having trained and flown in it for a decade. He starts making touch-and-go landings on one-six-left, the shorter of the two runways. Art: I have something banging around. Can you see what it is? Tower: Your left main gear appears to be dangling. Uh, it appears to be broke. Art: Great. What should I do? Controller: Do you want to attempt landing here? Or it’s up to your uh … it’s your discretion. Art: Uh, yeah. I’ll attempt landing here. Moments later a news reporter in a helicopter saw the plane go into an extremely steep turn and then nosedive to the ground. The NTSB will have a complete report in a little more than a year, and it is unwise to speculate as to the cause of an accident. Perhaps the damage to the plane after the incident in Camarillo was worse than originally believed and the landing gear failed somehow because of that. Maybe a control cable slipped off the pulleys. We can’t know. But I know that Art was not flying enough, that he still had trouble with his hands, that landing is a complex dance of throttle and control manipulation and even with decent hands I will drop it onto the deck on occasion. He had twice so badly handled the final phase of flight that he damaged the plane beyond it being able to fly again. He wasn’t flying enough to be comfortable in the plane. Could he have returned it to the ground with the left gear dangling and banging the underside of the wing? I think he probably could have, but he would have had to work hard to keep his wits about him. At the same airport a few years ago two professional pilots died when they tried to get their Citation business jet around the same traffic pattern, returning to land because a baggage door popped open on the nose. The jet was capable of making the trip around the pattern and back onto the ground, but even with two professional pilots at the controls they wound up nosediving into the golf course just short of the runway. In the past couple years two instructors at Santa Monica had refused to take Art up for a BFR. That’s something an instructor will do if they don’t think you will pass. Why charge you for an hour of ground time and an hour in your plane if they are going to have to do recurrent training with you in addition to that? So the instructor bows out. But that’s a sign that you should stop flying. And apparently a number of friends told Art he shouldn’t be flying anymore. One of them said, “He told us to screw off, and he was determined to prove us wrong. 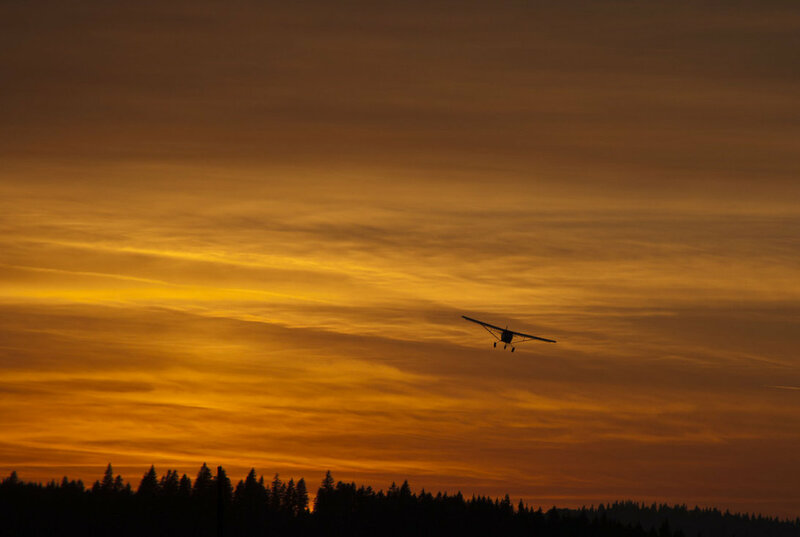 All he did was prove us right.” One of my questions at my flight review is always, “Am I safe, can I keep flying my family in the little plane?” I am not invested in the answer. If someone with a few thousand hours of experience tells me I’m not safe in the plane I won’t go up again. I wish Art had known to do the same, but I am not sure what he had going on other than flying. Possibly too much detail in a new blog post about the accident. I am a longtime friend of Art’s and I am so sad to hear this! Is there a way you can let me know what arrangements are being made for a service? I would very much like to be there and show my respects. Well written. I really enjoyed this post, Colin, but I’m sorry for what happened with Art. Thanks Colin for all the information. So sorry to hear all the details.Let us know when they have the services or memorial. RIP Art.
. We are watching for information on a service and if you hear please forward. Mike, can you write me an email colin at mightycheese dot com and I will send you the note I got from Art’s daughter? She’s working on a list for the memorial service in September. Colin, I am a QB candidate at the SMO Hangar. Your honesty and affection for flying and for your friend, Art, are perfect examples of why pilots and QB’s are different. Love your pals and don’t shade the truth. Thank you for your candor and very sorry that your pal has gone west. That’s a wild bunch of details. I heard the radio calls and thought it was odd when he said he didn’t know the area. Everyone based a smo knows vny. Sorry to hear about your friend. It’s never easy to have a friend “go west”. Wish I could tell you it gets easier… but it doesn’t. I will post the details of Art’s service here. It looks like it will be large and will be at the Santa Monica airport in Ray’s hangar, with some of the arrangements handled by the Quiet Birdmen. Standby. First met Art at Experimental, he was learning to fly next door. He would see my hanger open & stop by to talk, I grew up around grumpy guys so he wasn’t a bother. Although I have a Pitts he found out I had coup.e hundred hrs in Bonanzas & asked if I would join him Friday afternoons for lunch. IFR or VFR, he was behind even on check list in run up. Forgot to set prop right. I also noticed he had intention tremor of right hand.& suspected medical issue. After car wreck he started dropping by, didn’t get out of car & needed to use left hand to pick up right hand to shift. Never flew with him in light sport but heard the stories. Gangs biggest fear was he was going to crash & kill someone at SMO. I figured he would crash plane landing but not kill anyone. Like most friends he would come into hanger, plop on the couch & talk, quite the character, he was a professional singer in his youth, he was also US distributer & Olympic level sailer for the class. He appeared to be a guy whose life and body was slowly slipping away bit by bit & it both frustrated & frightened him but he wasn’t going to give up without a fight. I believe this was the source of his attitude. We all knew the check ride would be it flying wise, he just needed a few more days. Robert Griffin, can you write me an email colin at mightycheese dot com and I will send you the note I got from Art’s daughter? She’s working on a list for the memorial service in September and if you can pass if on to anyone in the Experimental hangar that would want to go that would be great. Hi, Colin. I used to park my 210 on the other side of you from Art Newman, before I moved to Santa Paula. His younger daughter (“the commie”) worked for me before I actually met him at the airport. Besides aviation, Art and I shared an interested in motorcycling. I avoided discussing politics. I kept in touch with him after I moved up here six years ago. I never flew in his airplane with him after watching and hearing reports of his unsteadiness in the pattern. I last saw him while he still had the Bo, which he flew up here (looking quite competent landing at this tight, shortish airport) and last talked to him after his car crash. I sort of thought he would give up flying from what he said, but I guess not, alas. I heard about the crash at Van Nuys and was surprised to learn it was him. Art, can you write me an email colin at mightycheese dot com and I will send you the note I got from Art’s daughter? She’s working on a list for the memorial service in September and if you can pass if on to anyone up at Santa Paula that would want to go that would be great. I know Alex, his closest friend up there, passed away. But there are probably a few that if you strolled the hangar line would want to know. Thanks.